I pet a cougar once who was a mascot for an Illinois university. Now that was a big ca! Good for you! Aren't big cats wonderful? Little cats are pretty great too! I enjoyed this passage and appreciate your letting us get a glimpse into your new story. I am interested in learning about the process of marketing a new book soon to be released. Thank you for sharing. Well done. Kathy: There are many resources for help with marketing a new book. I have no magic secrets. Should you hit on something successful, let me know. 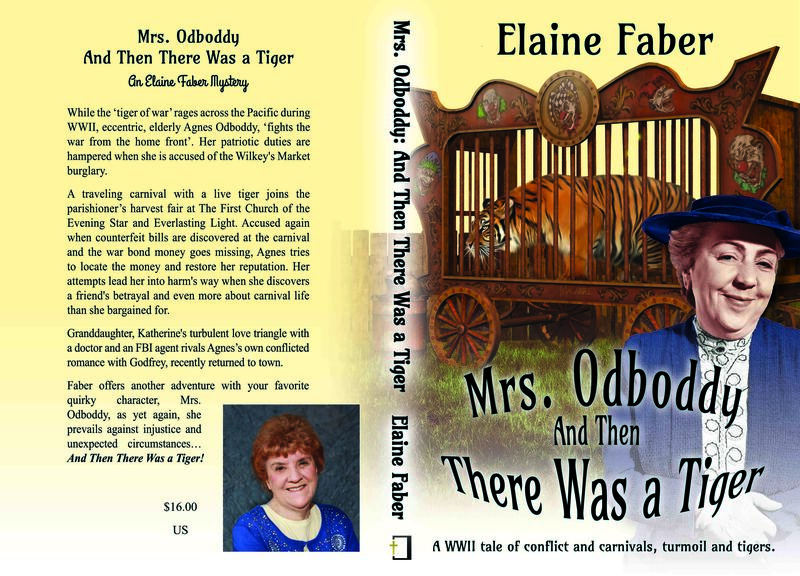 (LOL) Glad you enjoyed Mrs. Odboddy. The first two books are already in print and on Amazon. 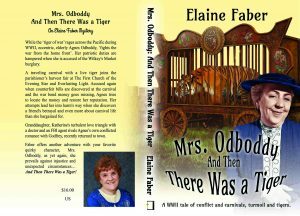 Mrs. Odboddy Hometown Patriot and Mrs. Odboddy Undercover Courier. Love the title and intriguing cover! Did you read The Prince of Tides, a novel by Pat Conroy? Wonderful tiger in that book, too! Tiger are wonderful, no matter where they are. I'm having such a good time with the tiger in this book, and the also in the next one I'm currently working on. Elaine, I'm loving this book. Such fun. Maddie adds another dimension to the story. I still have a ways to go but thought I'd let you know my thoughts.